Lemon Rice is one of the popular Sounth Indian dish and its also called Chitranna in Kannada. 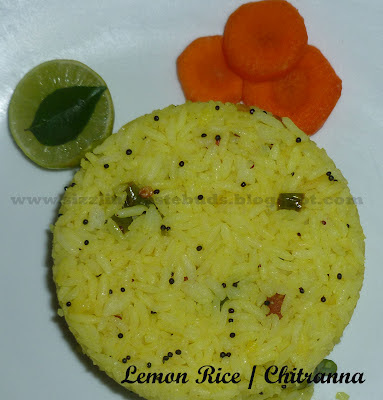 This tangy flavored rice is indeed a very simple recipe and can be prepared in minutes to go into the lunch boxs. Here in Bangalore, its served even for breakfast in restaurants. It can be prepared even with the left over rice. But I prefer to cook the rice separetely for this dish. Its also given as a prasad in temples here. When I prepared this Chitranna / Lemon rice for lunch last week, my son got confused and said " Mamma ! why did u serve poha for me for lunch? It should be eaten only for breakfast? " The color got him confused and he mistook it for Poha/ Avalakki. Without much delay, lets head to the recipe. 1. Heat 2 tsp oil and add mustard seeds to it. Allow it to crackle. 2. Add curry leaves and green chillies. Fry for a minute. 3. Now add bengal gram and peanuts . Fry till they get roasted. 4. Add haldi and Salt. Mix well. Now add cooked rice and mix well by reducing the flame to Low. 5. Finally add 2 fresh lemon juice and mix well. 6. 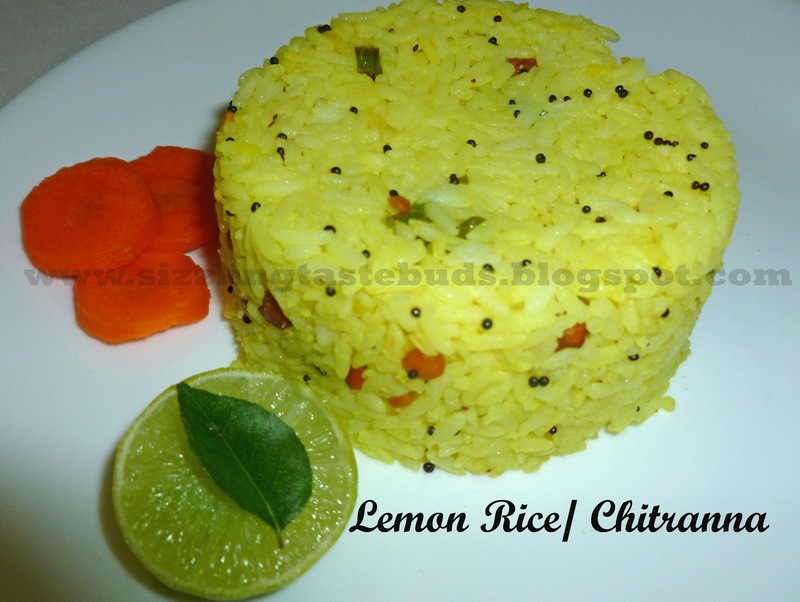 Tangy and tasty yellow rice/ lemon rice/ Chitranna is ready to serve.